Two polar bear cubs explore the arctic, finding seals, seagulls and icebergs. Simple text (just a sentence per page) and large, bold shapes in linocut illustrations make this a good choice for very young audiences. 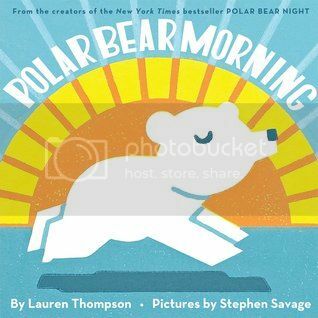 Polar Bear Morning is the perfect example of "less is more." This is a nice companion to Polar Bear Night. Caveat emptor! This is not the Aesop's fable. 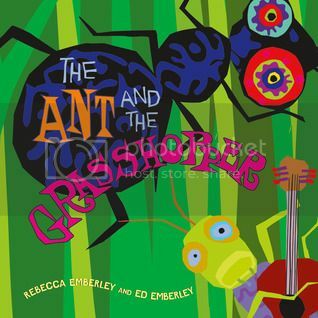 Vibrant, eye-spinning illustrations with clashing colors and Cajun slang celebrate New Orleans music. The lesson seems to be "Laissez les bon temps rouler!" or "Let the good times roll!" which is rather the opposite of the moral from the original fable about virtues of hard work and planning for the future. File this alongside gutless re-tellings of The Little Red Hen with new endings where she decides to share her hard-won bread, despite the laziness of her friends. Some readers may appreciate the wildly colorful, deeply saturated collage illustrations, but I found them stomach churning. What a great spring story. 998 frogs (plus their big brother) decide wake everybody up for spring. When they accidentally wake up a hungry snake they assure him that he can sleep a little later if he likes. Cute, "kawai" illustrations with lots of white space retain a very Japanese feel from this import. 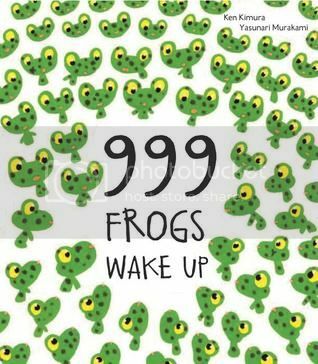 This is a sequel to 999 Tadpoles. 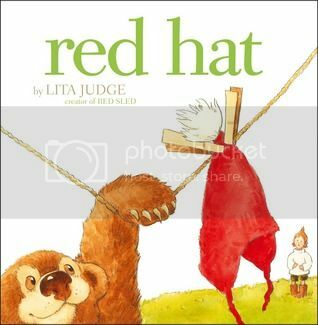 With one exclamation per page, a bear and his forest animal friends "Wow-za" "Shwooop" and "Doot-do-doo" through the onomatopoeic story, going on a wild adventure with a knitted red hat they find out on a clothesline. Unraveling their way through the forest, the boy finally gets his tangled yarn back and he re-knits it into little hats for everyone. This is a sequel to Red Sled.